Novelist Anne Girard brings to life the mesmerizing and untold story of Eva Gouel, the unforgettable woman who stole the heart of the greatest artist of our time When Eva Gouel moves to Paris from the countryside, she is full of ambition and dreams of stardom. Though young and inexperienced, she manages to find work as a costumer at the famous Moulin Rouge, and it is here that she first catches the attention of Pablo Picasso, a rising star in the art world. A brilliant but eccentric artist, Picasso sets his sights on Eva, and Eva can't help but be drawn into his web. But what starts as a torrid affair soon evolves into what will become the first great love of Picasso's life. 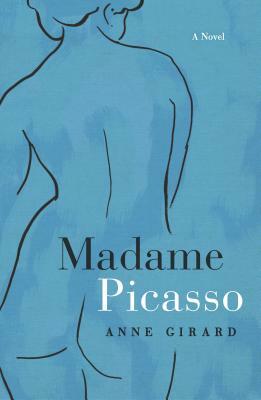 With sparkling insight and passion, Madame Picasso introduces us to a dazzling heroine, taking us from the salon of Gertrude Stein to the glamorous Moulin Rouge and inside the studio and heart of one of the most enigmatic and iconic artists of the twentieth century.